The Election Commission has fixed a timeline for the release of the manifesto by political parties and barred parties from releasing manifestos in the last 48 hours before polling. NEW DELHI: The Election Commission has fixed a timeline for the release of the manifesto by political parties and barred parties from releasing manifestos in the last 48 hours before polling. Manifestos for both single and multi-phase elections will not be released during the prohibitory period, as prescribed under Section 126 of the Representation of the People Act, 1951. Section 126 of the Act embodies “election silence”, which prohibits any form of the election campaign in the last 48 hours leading up to voting. “In case of single phase election, manifesto shall not be released during the prohibitory period, as prescribed under Section 126 of the Representation of the People Act, 1951. In case of multi-phase elections, manifesto shall not be released during the prohibitory periods, as prescribed under Section 126 of the Representation of the People Act, 1951, of all the phases of those elections,” said the EC in its circular issued on Saturday to the parties. As of now, there was no rule on the timing of the release of manifestos. There have been a few instances when the manifestos were released a day before polls. 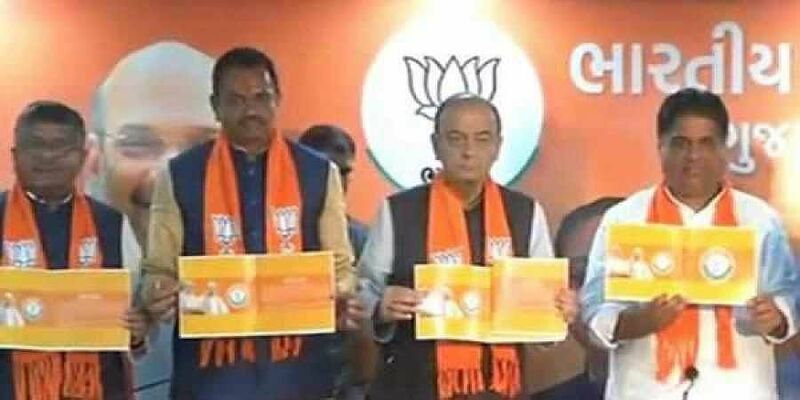 In 2014, the BJP had released its Lok Sabha manifesto on the day of voting in the first phase. Although the Congress had complained to the EC, stating this would influence voters, the Commission was unable to act since the Model Code of Conduct (MCC) was silent on the timing of manifesto release. The provision will, henceforth, be applicable and implemented as a part of the Model Code of Conduct for all future elections, EC added. Earlier, the Election Commission had reached out to all national and regional political parties and sought their views on a proposal to fix a timeline on the release of manifestos.